Cycling across USA, ... where could be the end of this street? The first part of the tour is "coast to coast in US", which build the classic route across America by bicycle, the second was not foreseen but the Canadien rockies are need to visit. 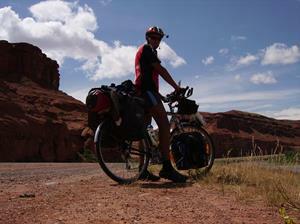 This cylcling tour was total about 12206km in North America, USA and Canada. 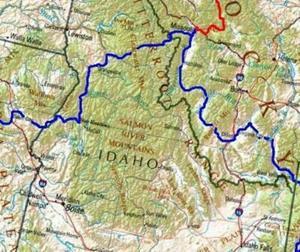 The Trans America Trail in one of the famous bike tours in North America. 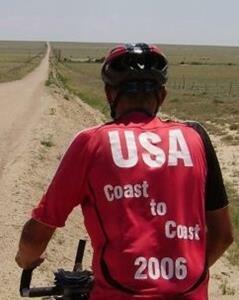 It is starting from Norfolk Virginia on the atlantic coast to Astoria in Oregon on the pacific coast. 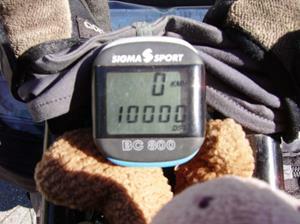 These roughly 8000km was not enough to stop the cycling motivation. Pictures of the Icefield Parkway shown on my way between the coasts increased my motivation to head additional north. Check the map or pictures to see details.